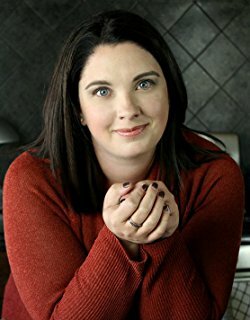 Abby’s Journey is the sequel to another novel by Steena Holmes, Saving Abby, but while the first book does provide context, it’s not necessary to read one in order to enjoy the other. In many ways, Abby’s Journey is a typical coming-of-age story. Yes, the title character is twenty, not a teenager, but she’s lived a sheltered life as the combined result of life-long health issues and a doting widowed father. Still, she’s taking control of her own life for the first time, and watching the way her interactions with people and the world change is really fascinating. I loved the use of letters, blog entries, and postcards within this story, even though it wasn’t really an epistolary novel, and I truly loved the way Holmes’s contemporary writing style is both accessible and very vivid. More than reading a novel, I felt as though I was taking Abby’s journey with her, following her footsteps first into her snowy back yard, and later, onto a plane and to Germany during the tradition pre-Christmas festivities. Goes well with hot chocolate and pfeffernüsse cookies. 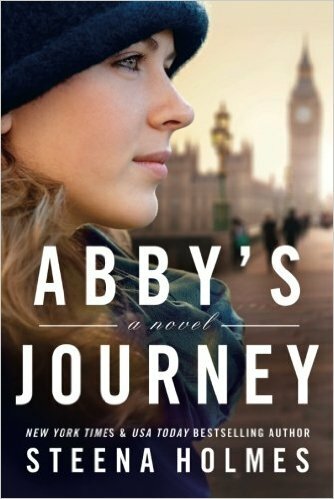 Review: Abby’s Journey, by Steena Holmes by Melissa Bartell is licensed under a Creative Commons Attribution-NonCommercial-ShareAlike 4.0 International License. I love when an author can pull me into a story so much that I feel like I’m right there with the characters, experiencing everything they do.